THE FIRST COLUMN in this series, almost 12 years ago, was titled “Why Speculation Will Undo Reaganomics” (NL, September 7, 1981). Well, I was wrong. I was right enough in my analysis – that speculation would enrich the rich and impoverish the poor and bring on what we now call a credit crunch – but I naively could not imagine anyone being pleased with such an outcome. By last November, of course, a considerable majority of the voters did become displeased, if not with the enrichment of the rich and the impoverishment of the poor, at least with the stagnation that followed from the polarization of the economy. I now feel possessed of another prophecy. And I hope I’m wrong again. When I say productivity will undo Clintonomics, I mean just that. I don’t mean lack of productivity. I mean what the New York Times and the Wall Street Journal and the Economist are always writing about, what Nobel laureates in economics from MIT are always talking about, what Labor Secretary Robert Reich is now planning to try to increase. I mean that to the extent that Clintonomics is successful in improving our productivity, it will fail to improve our standard of living. If our aim is what all these worthies say it should be, we can achieve it by decreasing production, profits, employment and wages. In fact, this is what General Motors and IBM and other giants of our economy are doing today. The fashionable word for their activity is downsizing, and the purpose is to step up productivity. Given a modicum of managerial skill and luck, half of the downsized corporations may actually improve their rating on the productivity scale. But their production and profits and employment and wages will mostly be lower. And the national product and profits and employment and labor income will certainly be lower. Productivity is not a new idea. It was an old idea when President Reagan, in his first year in office, created a 33-member National Productivity Advisory Committee headed by former Treasury Secretary William E. Simon. You never heard of that committee? Who ever did? A year or so after its appointment I spent some time trying to find out what it had accomplished. Although I wrote as CEO of an American corporation, Simon did not answer my inquiries, nor did the White House. 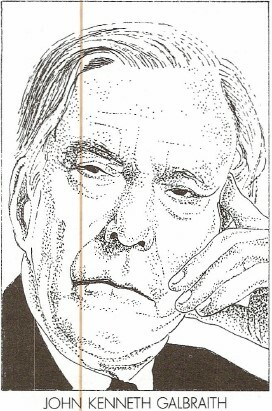 Finally, Senator Daniel Patrick Moynihan was able to dig up for me three or four slim pamphlets published by a second productivity committee that had been created some months after the initial one. I still have the pamphlets somewhere in this mess I call my study. As I recall them, they were paeans to efficiency and might well have been written by Frederick Winslow Taylor a hundred years earlier. When economists started playing with productivity they changed it radically. They defined it clearly enough as output per unit of input. In keeping with their passion for mathematics, though, they devised an equation to determine it and an index to rank performance. Since labor is by far the largest factor of input, they thought to simplify the equation by letting labor stand for all inputs. This had the further attraction of allowing them to quantify input in “real” rather than dollars-and-cents terms, as they would have had to do in order to add the input of labor to the inputs of land, capital, technology, and whatever other factors one might name. Mathematical economists tend to believe that money is not real and don’t like to talk about it in public, but their simplification, as I’ve shown in greater detail elsewhere (see The End of Economic Man, Revised–Adv. ), causes a serious distortion. The productivity equation relates two quantities. It is a ratio, an ordinary fraction. In the United States it is computed by the Bureau of Labor Statistics of the Department of Labor, which divides the gross domestic product of a period by the number of hours worked in the period. “Hours worked” includes those of proprietors, unpaid family members and others “engaged” in any business. Like all simple fractions, this one can be increased in the two ways we learned in grade school: by increasing the numerator (2/3 is greater than 1/3), or by decreasing the denominator (1/2 is also greater than 1/3). Given this property of fractions, a moment’s reflection will satisfy you that the productivity index is constitutionally incapable of providing an unequivocal answer to any question you may reasonably want to ask. It tells nothing of the size or nature of the domestic product, and nothing of the size, composition or compensation of the labor force. The foregoing is obvious, and the mathematics is indefeasible. 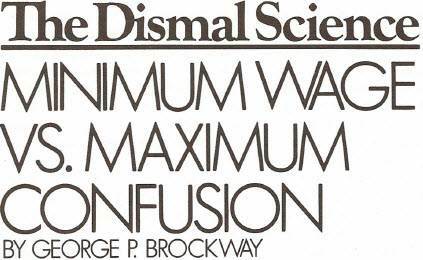 How is it, then, that so many intelligent, experienced, well-intentioned men and women –practically the entire membership of the American Economic Association, not to mention the with-it managements of our corporations great and small – are bemused by the productivity delusion? Psychology aside, I can make a stab at explanation. Let’s begin with a quotation from a back issue of the Times: “A worker who produces 100 widgets an hour is clearly more productive than a worker who produces only 50 widgets an hour.” That is certainly true. And generalizing the observation, a nation of 100-widget-an-hour workers should be twice as prosperous as a nation of equal size composed of 50-widget-an-hour workers. True again – with one proviso, namely that both nations have full employment. Should the first nation have only a third of its workers employed, while the second has full employment, the second will produce 50 per cent more widgets than the first and therefore will be more prosperous. The assumption of full employment is one that economists are so comfortable with that they make it routinely, without thinking about it. Indeed, classical economics was based on this assumption, and so is neoclassical, or the economics currently practiced by most of the profession. The beauty of full employment is that if you have it, almost anything you try will work. David Ricardo thought that England should stop making wine and concentrate on wool cloth, that Portugal should do the opposite, and that the two countries should exchange surpluses. The English vintners would become weavers, and so on. Given some rather special assumptions, this was a dandy idea in 1817 (and today it underlies the North American Free Trade Agreement). A better idea, because the British Isles were plagued by roving bands of homeless unemployed, would have been to employ the unemployed as vintners (or brewers or barley-water bottlers) and let the Portuguese keep their port, along with the wool they were perfectly capable of weaving. If you have full employment, you can (and should) invest almost without limit to upgrade your product and upgrade the workers and capital plant that produce it. If you have millions of men and women who are unemployed or underemployed, you need to increase the number of hours worked. It doesn’t make much sense for the nation to train these people for jobs in industries that don’t exist, or that we can only imagine, to satisfy the presumed demands of a hypothetical global economy. The new global economy is a hot ticket today. In the sense that we have one, however, there has almost always been one. Archaeologists now claim that the fabled Silk Route is two or three millennia older than Marco Polo thought. But the economic impact of the route was slight in prehistoric times, and at present the economic impact on us of Bombay and Cairo and Mexico City does not extend much beyond our corporations exploiting their labor in order to undercut our wage rates. Unemployment is our problem. Adding up those who are officially called unemployed, those too discouraged to look for work, those too turned-off to think of working, and those able to find only occasional part-time work, recent testimony before a Congressional committee reached the appalling total of 17.3 million men and women. If we followed Mexican practice and counted as employed everyone who as much as cadged a tip for opening a car door last week, our unemployment total would be as low as the 2 per cent Mexico reports. 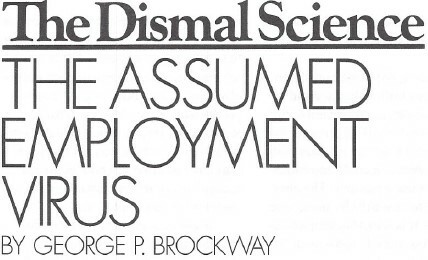 Or if we followed mainstream economic practice and did not count at all the “naturally” unemployed, we could squinch our eyes shut and pretend that the problem didn’t exist (see “Are You Naturally Unemployed?” NL, August 10-24, 1992). It exists, nevertheless. It really and truly exists, and as long as our best brains are trying desperately to reduce “hours worked,” it will not go away. Clintonomics may cauterize a few hundred malignant polyps at the top of our income distribution, and that will be all to the good. It may find suitable work for a few thousand middle managers rendered redundant by corporate or governmental downsizing, and that will be to the good. But unemployment will not be substantially reduced (except by the withdrawal of people from the official labor force), aggregate consumption will not be substantially increased, and whatever brave new hi-tech industries are created will stagnate for lack of consumers, here or abroad, able to buy their products. These dismal outcomes will no doubt be exacerbated by the eagerness of Congress, whipped to a frenzy by Citizen Ross Perot, to cut government expenditures, and by the complementary unwillingness to fund the President’s already inadequate stimulus program. But all that aside, a mad drive for “productivity” in the face of long-lasting unemployment is fully sufficient to undo Clintonomics. I hope I’m wrong, for I joined in the grateful cheering during the State of the Union address. Ed: Loyal readers will recall that the author does not believe in NAIRU, the natural rate of unemployment. Nor can they possibly be wondering whether lean and mean corporations make this a better world to live in, even for their customers and their stockholders. St. Augustine wrote: “Every disorder of the soul is its own punishment,” and meanness is certainly a disorder of the soul. Yes, I know: We are told we will have to be lean and mean to compete in the global economy of the 21st century. Some commentators say that the global economy and the competition are already here. President Bush inclines to this view; President-elect Clinton inclines to this view; and I suspect that Citizen Perot had something similar in mind. At any rate, he had a lean and hungry look. Fifty years ago another self-made man, Wendell L. Willkie, had a vision of One World in which we would all help each other. Willkie was a lawyer and CEO of a giant utility holding company before he became the 1940 Republican Presidential candidate (Harold Ickes, Franklin D. Roosevelt’s Secretary of Interior, called him the “barefoot boy from Wall Street”); he was no starry starry-eyed innocent. Yet his touchstone was cooperation, not competition. The world seems to be different now, and not as nice. What happened? 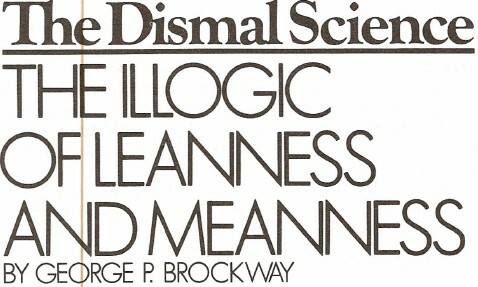 It is, I think, a case of Samuel Johnson being right again: “Hell is paved with good intentions.” The economic situation we find ourselves in is mean enough to have at least some of the attributes of hell, and it is paved in part with free trade, a theory whose intentions were the best in the world. I say “were” because I’m not so sure they’re all so good today. Practically every economist is in favor of free trade, and the fraternity has been joined by a broad range of right-thinking, public-service citizens groups, from the Council on Foreign Relations to the League of Women Voters. The argument for free trade is simple and strong: All of us are consumers, and therefore benefit from cheap consumption goods. Tariffs, subsidies and the like increase the costs of consumption goods, and therefore are bad. A less materialistic reason for open international trade is that it is said to make for peace, although perhaps not in the Middle East. The foregoing arguments, including Willkie’s, may be classified as general or ideological. There are also technical arguments in support of free trade – for example, the theory that cheap imports are both anti-inflationary in themselves and anti-inflationary in their competitive pressure on domestic prices. This notion was a favorite of former Federal Reserve Board Chairman Paul A. Volcker. The most famous technical argument is David Ricardo‘s so-called law of comparative advantage. Unhappily, there isn’t sufficient space here to discuss this “law,” except to say that it consists mostly of exceptions. For the moment I merely want to register the point that each of the arguments, the ideological and the technical, depends – as does standard economics generally – on three assumptions: that full employment actually obtains here and now, that chronological time does not matter, and that all public questions are, au fond, economic questions (or, as Marx had it, that the state will wither away and need not be taken seriously). Free trade as an ideal has had a long run on the American political stage, starting at least as early as the Boston Tea Party. What has happened recently is not inconsequential. Even as late as 1950, imports were less than 5 per cent of our GNP (exservices): currently they are running at about 16 per cent. Until 1977, American exports generally exceeded imports; I don’t have to tell you that the situation is different now. Nor do I have to read you a list of American industries that have been decimated by foreign competition. Those who say that the global economy is upon us are not far wrong. I am persuaded, however, that what they propose to do about it is indeed far wrong. Essentially, they make two proposals. The first is the lean and mean thing, to which I will return. The second involves empanelling a committee of government officials, bankers, businessmen, economists, engineers, scientists, and the obligatory representatives of the general public (but not including Ralph Nader) to recommend research and development projects to the government, and then to pass judgment on the results of the research and propose ways of implementing the development of approved ideas. The government’s role would be crucial, because of the antitrust laws and because the research is thought likely to cost more than any corporation, regardless of its size, could afford. In addition, it is observed that the largest corporations tend to devote less and less money to research. The scheme has both practical and theoretical flaws. The chief practical flaw is that whatever good ideas the committee might come up with would be immediately available worldwide. Just as the American television set industry quickly slipped into the Pacific sunset, so would the new wonder industries. It is inconceivable, for instance, that giant American corporations would be excluded from the marvelous new industries thought up by the committee. Our giant corporations, however, are not really American; they are multinational. They are motivated by the self-interest of the stockholders (in the conventional theory) or of the managers (in Galbraith’s view); in either case, their devotion is neither to the nation nor to the nation’s workers. Consequently, upon learning of the miraculous new product along with everybody else, if it is truly miraculous, the responsibility of these corporations to their stockholders or to themselves would require them to start producing it in the least expensive way. And where would they do that? Wherever in the world they found the most stimulating subsidies, the most alluring tax rates and the cheapest labor. Wherever in the world that might be, it would not be in the United States of America, for the inescapable reason that, at least so far, the American standard of living is higher than that of any other first-rank country. The cheapest labor will not be found here unless we destroy ourselves. On the MacNeill Lehrer Newshour a few months ago, U.S. Trade Representative Carla Hills seemed to believe the Mexican poverty rate was only about 11 per cent (ours was 13.5 per cent two years ago and has undoubtedly risen since). She must have been thinking of some Mexico other than the one I’ve visited. A MINOR practical flaw in the committee scheme is inherent in the very idea of creating such a group. Schumpeter counted the mature corporation’s addiction to committee decisions a prime reason for decline, and we all know the absurdity that would result if a committee tried to design an animal. Perhaps more important, we know from experience that a committee is quickly co-opted by those with the liveliest immediate interest in the outcome of its deliberations. In the proposed body the industry and banking representatives may not be the smartest or the best informed, but they surely will have their minds concentrated on the fate of their sector of the economy, and they will certainly wield the direct and indirect power that comes with enormous wealth. In Japan, captains of industry respect the authority of even minor bureaucrats; in the United States, money talks. Beyond this, the committee approach has a serious theoretical flaw in that it contradicts the very reasons for its formulation. These, it should be kept in mind, are (1) the decline of American industry because of foreign competition, and (2) the presumed impossibility or unacceptability of self-protection in any form. The conventional charge against self protection is that it interferes with and distorts the natural course of trade, thus making for inefficient if not altogether wasteful use of resources. Publicists reinforce the charge with the cliché that a man knows better what to do with his money than does some bureaucrat in Washington. Yet if the charge and the cliché were valid, there would be nothing to be done about the decline of American industry. It would be natural and inexorable. Further, it would assure the “efficient” use of resources and be a necessary contribution to the wealth and happiness of mankind. Some people would no doubt be hurt by it, but you can’t make an omelet without breaking eggs. On the premises, there is no more place for a reindustrializing committee than there is for self-protection. If the committee wouldn’t interfere with the natural marketplace, what would it do? Its whole purpose is to interfere in a large and comprehensive way. The logic of the scheme is absurd. Major premise: American industry is being ravaged by foreign competition. Minor premise: Self-protection is unacceptable because it interferes with the free market. Conclusion: A committee should be empaneled to interfere with the free market. What kind of logic is that? The lean-and-mean logic is similar. Major premise: The American standard of living will be ravaged by foreign competition. Minor premise: Self-protection is unacceptable because it interferes with the free market. Conclusion: We should make corporations lean by firing people, make them mean by working the surviving employees harder for less pay, and thereby make ourselves miserable without help from anyone else. I find it odd that standard economics, based as it is on self-interest, should find self-protection invariably reprehensible. THE FIGHT in Congress over a minimum-wage bill was recognized by both sides to be largely symbolic. It was nevertheless worth making. The press and TV characteristically presented what little they reported of the debate as a clash of personalities. But fundamental issues were at stake, and one must hope the debate has gone at least a little way toward educating the public (and the Congress) on the way the economy actually works. First, a bit of background: The minimum wage is now $3.35 an hour. It has not been changed for eight years, even though the Consumer Price Index has gone up 32.3 per cent in that time. If you work full time, $3.35 an hour comes to $134 a week or $6,968 a year, which is well below the poverty level. But of course the assumption of full-time work is what economists call a heroic assumption (meaning that it doesn’t hurt the economists who make it any more than heroic medical procedures hurt doctors). In fact, 25.3 per cent of the people employed in America work part time roughly half of them because they can’t get better jobs and half because they prefer it that way. It’s a fair guess that almost all of the minimum-wage workers are in the part-time group. At present about 4 million workers earn the minimum wage or less. 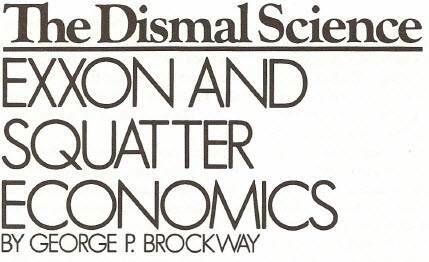 (Economics is full of miracles: In mathematics there’s nothing less than the minimum, but in economics there’s a great nether region below the minimum because commerce that doesn’t cross state lines is not covered by Federal law.) There are in addition just over 6.5 million people officially classified unemployed, and just under 1 million more who do not count because they are too discouraged to look for work. That adds up to 11.5 million Americans who work or are willing to work yet still are a long way below the poverty level. The bills recently passed by both the House of Representatives and the Senate provide for the minimum to go to $3.85 in October of this year, then to $4.25 in 1990, and to $4.55 in 1991 (by which time inflation will have wiped out most, if not all, of the increase). In an attempt to attract Republican votes, the bills include a subminimum training wage: 85 per cent of the minimum for a first-time employee’s initial 60 days. This provision would phase out in 1992. Though the bills have substantial support in both houses, particularly among Democrats, President George Bush has threatened to veto anything that goes beyond $4.25 an hour. Thirty-five Republican Senators have promised to sustain a veto. That should pretty much do it. The threatened veto is, naturally, presented as a kinder, gentler act. The conservative argument is that companies pay the minimum wage (or less) because they cannot afford to pay more. Since they are at the limit of their resources, a pay increase would force them to fire those paid the present minimum and to turn away inexperienced teenagers, blacks and women looking for entry level jobs. The net result, conservatives say, would be an increase in unemployment. Anyone who bothers to look at the record, however, will find that employment has risen in seven of the eight years when the minimum wage has been raised; and the one year employment fell (1975) was a time of severe recession when the drop was expected for other reasons. Moreover, the 11 states that now have a statewide minimum wage higher than the Federal standard also have the lowest unemployment. In the present instance, conservatives argue that what may be bad for some workers must be bad for all. Liberals, on the other hand, argue that the possible microeconomic effect of some job loss will be more than offset by the macroeconomic effect of better jobs in the economy as a whole, resulting in increased spending that will stimulate business into hiring more workers. Over a quarter of the low-income workers would have to be fired for the total wages to fall. It’s a judgment call, and the call pretty much separates the optimists from the pessimists, and the liberals from the conservatives. I’m such a liberal optimist, I doubt that as many as 10 per cent would be fired. In that case the macroeconomic stimulus would be considerable, making it likely the 10 per cent would be rehired almost at once, thus intensifying the stimulus and making inroads on those millions of unemployed. If you too are an optimist, I ask you to consider a special implication of what we have been saying. The happier world we have projected depends on an act of Congress combined with a President’s willingness to sign his name. There is no economic law that will achieve our goal. Rather the contrary. Standard economics pits businesses in such implacable competition with each other that even good-hearted employers are unable to pay more than the minimum, while workers compete so fiercely for jobs that even the stout-hearted can’t hold out for more. 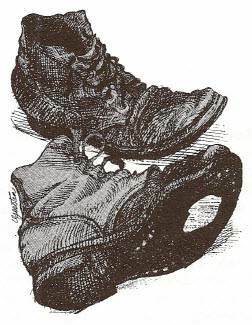 (That, by the way, is the Iron Law of Wages, which prompted Thomas Carlyle to coin the name for this column.) Thus wages tend inexorably to zero, and profits do as well. So, to be sure, do prices; but since no one will have any money, I’ve never understood what difference that makes. Individual companies can’t stop this fall; it takes governmental action. Hence the minimum wage. Shifting back to microeconomics, we are likely to find in boardrooms across the land another objection to raising the minimum wage. It cuts into profits, the gut feelings is, and cripples enterprise. This feeling is known as the wage-fund theory: it argues that the gross receipts of any enterprise form a fund from which wages, other costs and profits are paid. Therefore, as David Ricardo insisted, “There can be no rise in the value of labor without a fall of profits.” Karl Marx, an admirer of Ricardo, found the wage-fund theory handy in explaining the implacable opposition of labor and capital. Here, as in so many cases, we find the far Right in bed with the far Left. But taking a peek at the real world, Joseph Schumpeter remarked the empirical fact that wages and profits tend to go up together. Really good times are at least pretty good times for everybody. Profits are high, wages are high, unemployment is low, and so, for that matter, is inflation. None of this could happen if the wage-fund theory were valid. It is not valid because wages are a cost of doing business, while profits are not. Profit (or loss) is what is left over after all receivables have been collected and all bills paid. The costs of wages, interest, rent, and supplies can all be contracted for in advance; but profit is systematically residual. What’s to come is still unsure. I’m talking about actual profit-the kind you pay taxes on. Business people talk also about “normal” profit – what they think an enterprise ought to earn to be worth the bother. There is obviously no such thing as normal loss. Normal profit is a planning concept. It is an estimate, even an expectation, but not an actuality. It is on the basis of this estimate that go/ no-go decisions are made, prices are set, and production runs are scheduled. Although in the real world some businesses are vastly more profitable than others, and more or less profitable from year to year, normal profits, making allowance for risk, are uniform, as are short-term interest rates. High-risk enterprises must promise high normal profits, yet in the real world the low-risk enterprises generally show the highest profits. THERE IS clearly not much point in running an enterprise if it can’t earn the going interest rate and a bit more. You could lend your money to someone else and earn bank interest or better with no trouble at all. So the interest rate is what economists call an opportunity cost of normal profit: they are roughly equal. Consequently we have three related concepts: normal or hoped- for profit, the interest rate, and actual profit or loss. Since only the first two come out of the wage fund, only they are in conflict with wages. A common error, from David Ricardo to Alan Greenspan, is to confuse interest and actual profits. Mathematical economists, too, have trouble with this phenomenon, because they are prone to work with normal profits rather than actual profits. Actual profits are earned in historical time, but mathematics knows only the present tense. What Ricardo should have said was, “There can be no rise in the value of labor without a fall in the interest rate.” Wages and actual profits can and do go up and down together. They go up together when the interest rate is low, and they go down together when the interest rate is high. As Henry Ford understood, it is in the rnicroeconornic interest of each business that all businesses pay good wages. For this macroeconomic phenomenon to happen reliably, it takes a law. It takes more than a minimum-wage law, but it takes at least that. It is not unlikely that pushing up the minimum wage would eventually push up the wages and salaries above it. That is why we have said (see “Reality and Welfare Reform,” NL, November 28, 1988) that doing something about the poor is inflationary unless a major effort is made to correct the massive maldistribution of income and wealth in this country. That will not be easy, especially since we seem bemused by personalities, and since a previously wimpy personality will veto any attempt of personable Congressional leaders to move in the right direction. There is something more to the problem than David Rockefeller‘s objections to Michael Milken’s junky performance. I have been happily working my way through Fernand Braudel‘ s tangled, lumpy, unmade-bed of a book whose three volumes have the overall title Civilization and Capitalism: 15th-18th Century. About halfway into the second volume Braudel makes some observations about mercantilism, and they have given me furiously to think. Every American boy or girl who paid even the slightest attention in school knows that mercantilism was a bad idea. It bled the colonies for the benefit of the homeland, and consequently the colonies revolted. Those who listened a little longer also know that the mercantilist striving for a “favorable” balance of trade meant exportation of goods and importation of precious metals, a policy that is ultimately self-defeating because, as Midas found out, gold and silver are not good to eat. Braudel knows all this, too. As an example of mercantilist foolishness, he tells us that in 1703, toward the start of the War of the Spanish Succession, the English were advised to send “grain, manufactured products and other goods” from home to their troops fighting in the Low Countries. 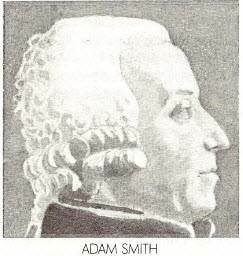 They could have bought these supplies easily and presumably more cheaply on the Continent, but the government was” obsessed by the fear of losing its metal reserves.” Any follower of Adam Smith or David Ricardo can see that this policy led England to waste real wealth (usable goods) and save nominal wealth (unusable metal). In the world of theory, the mercantilist passion for a favorable balance of trade seems indefensible. It is surely more sensible to collect what you can use than to squirrel away what is of little or no use in bank vaults. But as Braudel reads the historical record of the actual world, he is forced to recognize that the mercantilist policy was in fact successful. “In any case,” he writes, “every time we have to deal with a comparatively advanced economy, its trade balance is in surplus as a general rule.” Flying in the face of classical economics, the more advanced economies exported usable goods and imported gold and silver. The classical theory fails here (as elsewhere) because it is both ahistorical and asocial. It describes an instantaneous slice of a world without time; and it concerns things, like the GNP, not people, like you and me. Criticism of the English policy of 1703 silently assumes that purchasing war materiel overseas would have had no effect on English farms and factories. The assumption is that the goods purchased on the Continent would have been added to those produced at home, and that the English wealth would have risen accordingly. But in the real world, English farmers, deprived of part of their market, would have cut back production expenses (which is another name for employment) even if production stayed high for a time. And English manufacturers of soldier suits and the like would surely not have continued producing them if the government didn’t buy them. Their employment, too, would have fallen. These drops in employment would have meant a decline in the English standard of living. The mercantilist policy preserved that standard of living (such as it was); the classical theory would have reduced it. Carlo M. Cipolla, in Before the Industrial Revolution (a marvelous book that covers roughly the same ground as Braudel in about one-tenth the space), has an excellently apposite quotation that dramatizes the failure of the classical theory. In 1675 one Alfonso Nunez de Castro wrote, “Let London manufacture those fabrics of hers to her heart’s content; Holland her chambrays; Florence her cloth; the Indies their beaver and vicuna; Milan her brocades; Italy and Flanders their linens, so long as our capital can enjoy them; the only thing it proves is that all countries train journeymen for Madrid and that Madrid is the queen of parliaments, for all the world serves her and she serves nobody.” As it turned out, for lack of trained journeymen Spain fell into a slough of stagnation it has yet to escape three centuries later. In the infrequently noticed catch-all Chapter 23 of The General Theory of Employment, Interest and Money, John Maynard Keynes includes some “Notes on Mercantilism … ” He observes that a favorable balance of trade, by bringing in gold and silver, increased a country’s money supply, which forced down the interest rate (Federal Reserve Board please note), which stimulated investment. Let’s carry the argument a step further. Investment is not stimulated rationally, that is – for its own sake. From the point of view of the investor, the purpose of investment is to produce goods that are in demand. From the point of view of the nation, the purpose of investment is to provide employment for its citizens, and to produce things that are wanted. Since employed citizens are able to make purchases create demand – these two purposes can work together, though they do not necessarily do so. In the early modern world of the mercantilists, the interest rate was, as Keynes said, held down indirectly (and very possibly unintentionally) by fostering a favorable balance of trade. To have a favorable balance of trade, a country must export more goods than it imports. To export more goods, it must produce more goods. To produce more goods, it must employ more people. The secret of mercantilist success lies in the increased employment of labor. Less poetically, we know that agriculture now produces more food than we should or can eat, more than enough natural fibers to clothe us, more than enough lumber to house us, with less than 3 per cent of our labor force (or less than 1.5 per cent of our population). Since even at our present Reaganite shabbiest, we allow almost no one to fall through the safety net and actually starve or freeze to death, it is plain that we do not need additional workers to provide for their own subsistence. Therefore, the output of every previously unemployed worker we manage to put to work will raise our standard of living a bit more above subsistence. And we can do this without importing gold or silver to control the interest rate. We simply have to get some sense into the Federal Reserve Board. As far as the GNP is concerned, it doesn’t make much difference what the government spends its money on. The spending increases employment even when the newly employed people produce battle tanks that won’t run on rough terrain and fighting planes too complicated to service in the field. The increase in the standard of living would of course be greater if the newly employed people rehabilitated highways and subway systems instead of battleships that were militarily useless two generations ago. It would be greater if the newly employed people built housing here on earth instead of stations in space. It would be greater if the newly employed people were cleaning up existing toxic wastes instead of producing new poison gases that will have to be burned or buried. Yet no matter how useless the things they produce, the newly employed people earn newly augmented incomes that they spend (up to a point), thereby increasing their own standard of living. And the addition of their new demand to the previous aggregate demand calls forth still further employment, and so on. This outcome can be dramatized by asking what would happen if our present peacetime military budget were cut back, not to a rational peacetime level, but merely to the level of 10 years ago, when we were still winding down a war in Vietnam. The military budget would then be reduced by approximately $200 billion (or roughly the size of the deficit everyone fusses about). If such a reduction were not immediately offset by an increase in domestic spending, can anyone doubt the economy would forthwith crash into a depression that would make the Nixon-Ford recession of 1975 and the Reagan- Volcker depression of 1981-82 seem like paradise? A deficit, in short, has the same salutary effect on the GNP as a favorable balance of trade; and gold and silver have nothing to do with it. As it happens, we are giving mercantilist theory another and more direct test. Our strong dollar, which is a euphemism for an unfavorable balance of trade, enables some of us to buy Pakistani sports shirts and Japanese automobiles at bargain prices. These bargains for some people, however, cause unemployment and underemployment for many people in North Carolina and New York and Michigan and ultimately throughout the nation. Critics of the mercantilist theory of a favorable balance of trade should ask themselves why an unfavorable balance has such unhappy consequences. I’ll give them a hint: We perversely distribute the benefits of our economy in a way that additionally punishes those who lose their jobs by denying them income to demand the bargains.